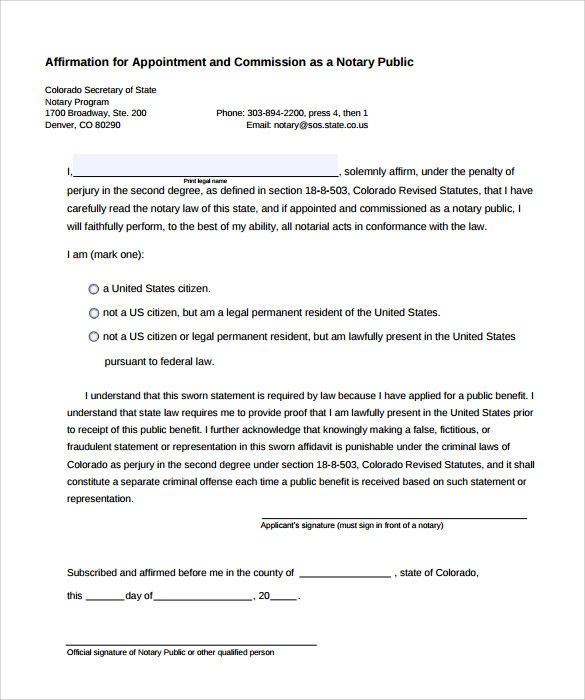 Effectively, notary statements declare that an act or statement is true. They are used in court, transactions of land title, estates or for the confirmation of affidavits. They are basically of two types- acknowledgement and ‘jurat.’ In an acknowledgement, you approve that it’s only in an authorized capacity that you are signing the papers. For instance, if you are the CEO of a company who needs to sign a document, then you must acknowledge that you hold that position apart from leaving your signature on the document. 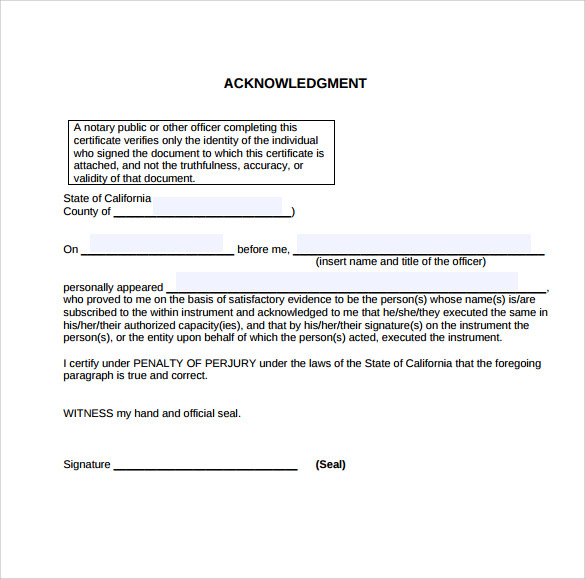 And in case of a ‘jurat,’ you sign the document in presence of a notary public and take oath to the correctness of every detail present in the document. 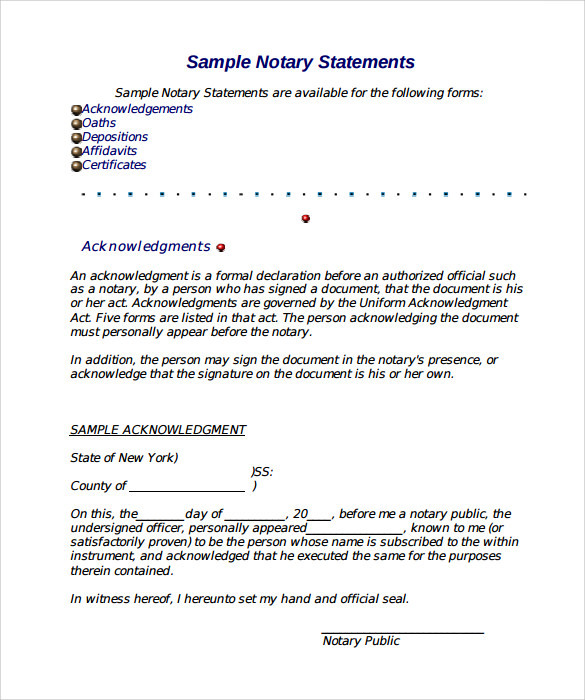 If you haven’t ever come across a notary form statement, you can check out Notary Form Statement Templates for reference. You may also like Business Statement Templates. The USP of this document is its simple yet catchy look. 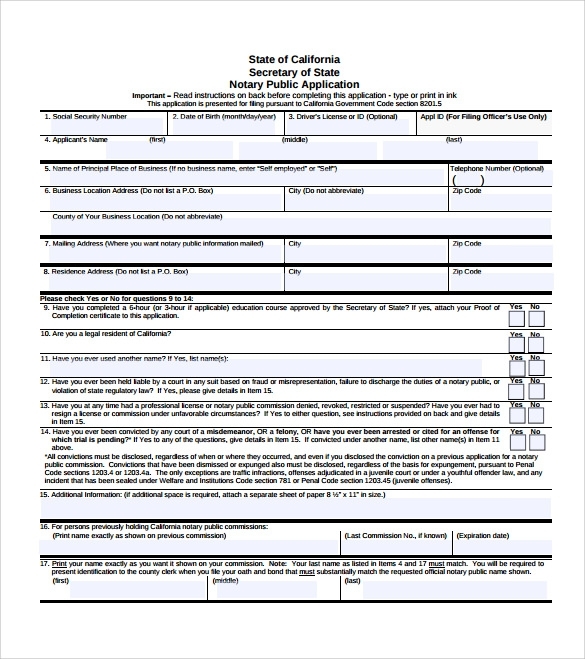 With black fonts and fields marked in blue, this form looks out-and-out professional. Apart from its appearance, the document has a lot to offer to its users. The content in the form is intelligible which makes it easy for the average Joe to fill it out without external assistance. 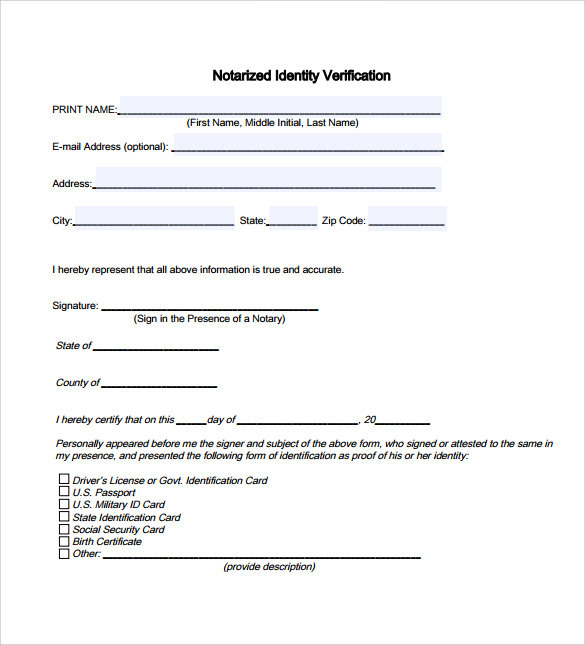 It also comes with certain ‘yes’ or ‘no’ questions which not only give the form a professional touch but also makes it easy for people to minimize errors while filling it up. 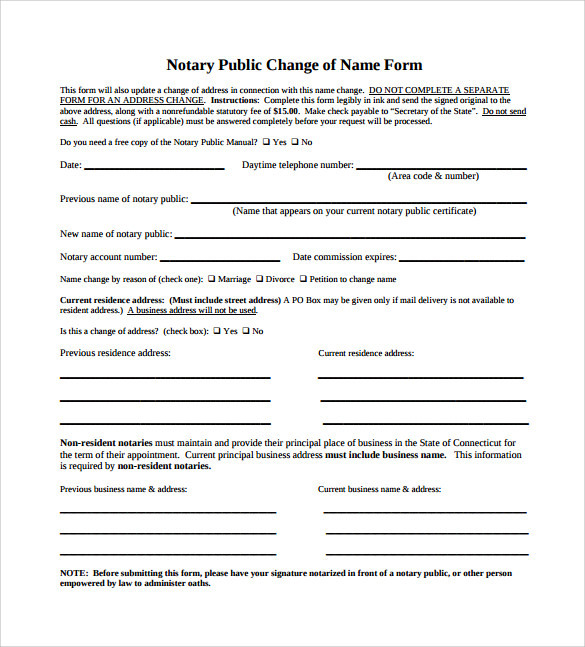 So, download a Notary Public Form Template to realize what easy paperwork is. 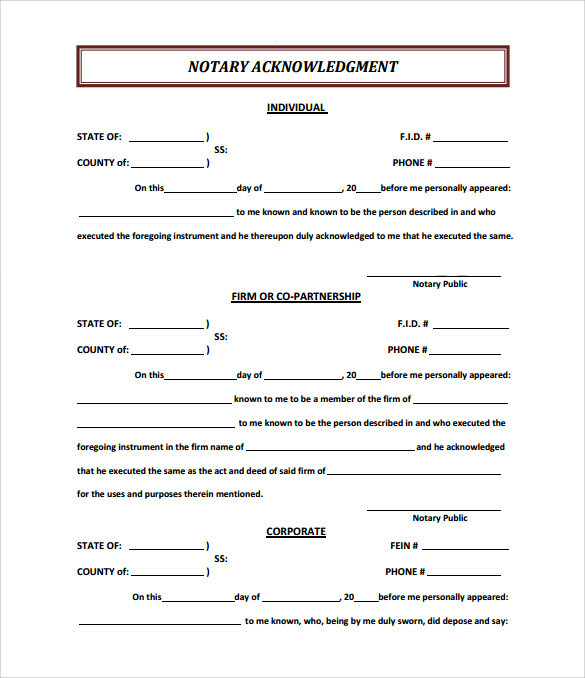 Different people need notary statements for different reasons. And since these are legal documents, many people find them unintelligible. This leads to a lot of mistakes when they fill such forms out. 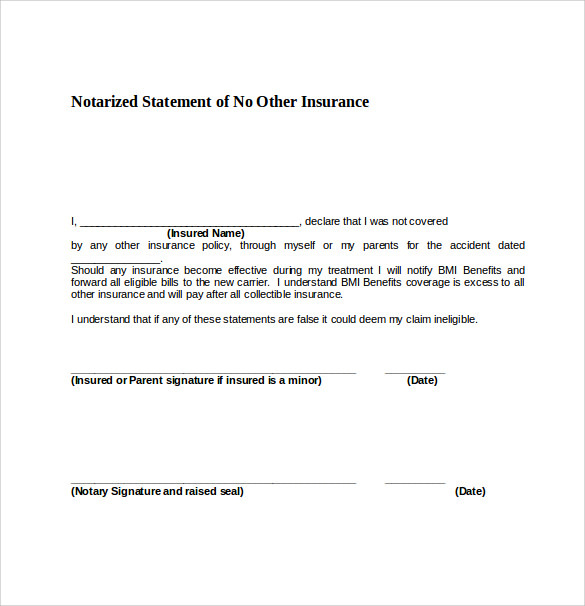 And that is why, any document such as a notary form statement template, which can act as a source of reference comes across as a boon to such people. There are so many of these templates available online that you will never face disappointment due to unavailability. They can be used directly or as a source of reference. 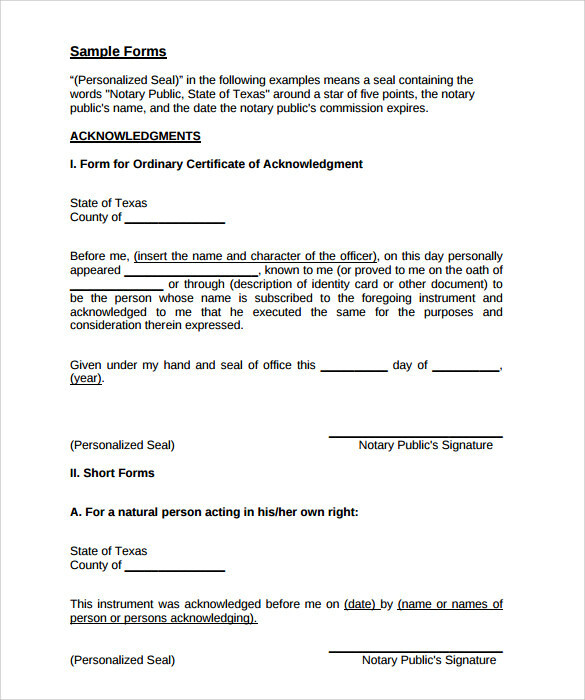 If you are someone who has a lot of documents in the pipeline to be notarized, you can certainly benefit from these templates. You may also like Problem Statement Templates. The entire cyber space is flooded with these templates. 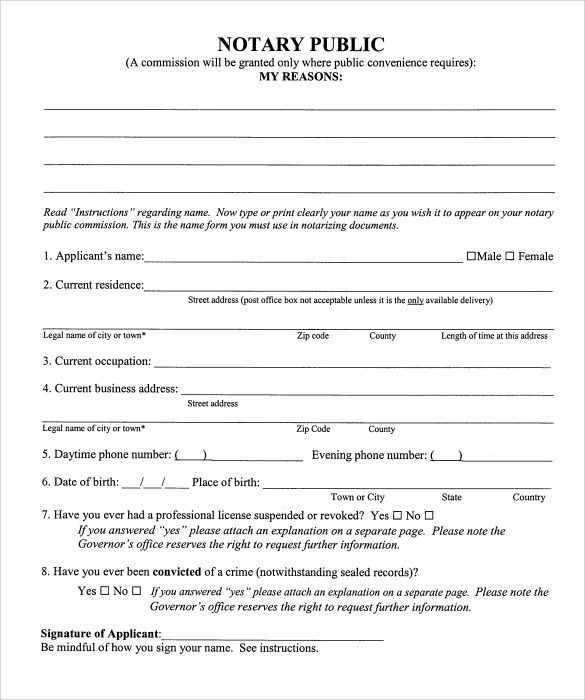 All you must do is confirming your requirement. Once you have figured out what exactly you need, you can get it with ease. There are two varieties to choose from- the paid variety and the ones available free of cost. No matter which out of the two you have chosen, you are sure to get guaranteed quality.